Acids in skincare are definitely having a moment (actually, it’s more than a moment, more like an extended minibreak). And so too is vegan skincare having a moment. 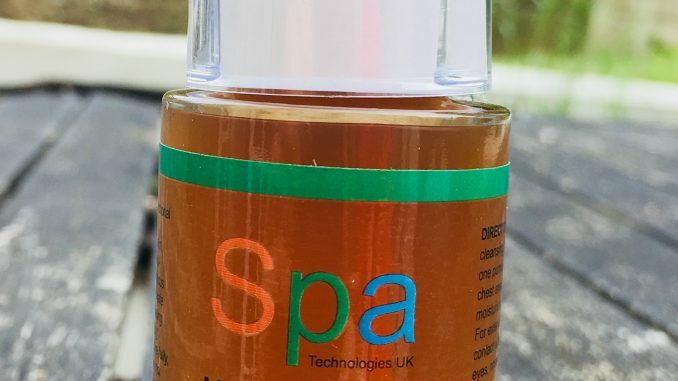 So today we have a product that couldn’t be more current if it tried – the vegan acid exfoliator, Flower Peel Serum by Spa Technologies UK. This award-nominated UK product is a gentle exfoliating serum. It’s particularly good for sensitive skin and for people with acne, pigmentation or rosacea. The problem with acid-based exfoliating products such as alpha-hydroxy peels is that they’re often too irritating for very sensitive skin. So if you’ve been wanting to board the acid bus then this is a gentler way in. And if you are 40+ then you definitely need a product like this up your sleeve, because our skin is less good at renewing itself and needs a little help. Because this is gentler skincare, it’s not an instant effects kind of product. I’ve been using it for the last week or so, and the effects are definitely cumulative. You don’t get that Whoa, check out my smooth face feeling that comes at first use with stronger acids, but you do get that Ooh my skin is smoother and clearer than it was a week ago kind of vibe. Flower Peel Serum is a concentrate of hibiscus flower and green tea acids fortified with salicylic acid. 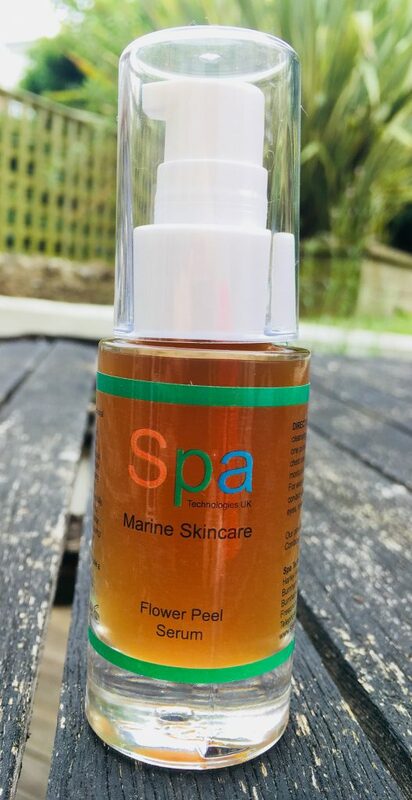 It comes in a soothing Icelandic seaweed-based gel which prevents any skin irritation to gently exfoliate and nourish with powerful antioxidants. Salicylic Acid: Beta-hydroxy acid decongests pores in treatment of problem skin. Gently exfoliates surface skin which decongests pores. The scent of Flower Peel Serum is very pleasant and natural – kind of like a fruity vinegar. A little goes a long way. One pump from the glass bottle is enough for the full face, neck and decolletage. Use straight after cleansing, morning and night, and layer with the rest of your skincare. As this is exfoliating, you’ll probably want to follow with a moisturising product. Maybe don’t follow with a bacon sandwich though.